A stunning design of pink, white, lime green and hot pinks. 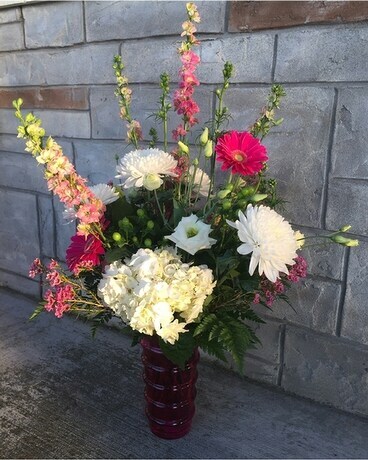 Includes hydrangea, gerbera daisies and more. Comes designed in a festive Valentine's Day colored glass vase.